OKLAHOMA CITY, Okla. — Between a sacrifice fly on March 4 and a pair of RBIs on June 2, Elizabeth Mason has driven the game-winning run for the Seminoles in each of the last two games against the Ducks as No. 6 Florida State (54-12) defeated No. 1 Oregon (53-10) on Saturday night in an elimination game at the 2018 Women’s College World Series. It is the second year in a row that FSU earned a win over the No. 1 team as the Seminoles took down No. 1 Florida by a score of 3-1 in 11 innings on May 3, 2017 in Tallahassee, Fla. The Noles advance to Sunday’s NCAA semifinals against No. 3 UCLA in a rematch of Thursday’s WCWS opener that saw the Bruins earn a 7-4 come-from-behind win. It is the second time in the last three seasons that the Seminoles are one of the final four teams competing for an NCAA National Championship. All 12 of Florida State’s losses this year are to 12 different teams as no team has beat the Seminoles twice in 2018. The Noles have won at least one game against every team it has played multiple times this season. After each side was retired in order in the first inning, Oregon earned the first baserunner on a one-out single by Haley Cruse in the bottom of the second. Lauren Burke followed with a single to center, but FSU starting pitcher Kylee Hanson left them both stranded after recording a strikeout and inducing a groundout to end the inning. The Seminoles opened the scoring the in top of the third inning as Cali Harrod led off with a walk and quickly stole second. Mason lined an RBI double into left center to put the Seminoles up 1-0. It was the 107th double of the season for Florida State, which tied Notre Dame (2014) for the ACC single-season record. It was also the first base hit for the Seminoles against the Oregon pitching staff in 15.1 innings, dating back to March 2, 2018. 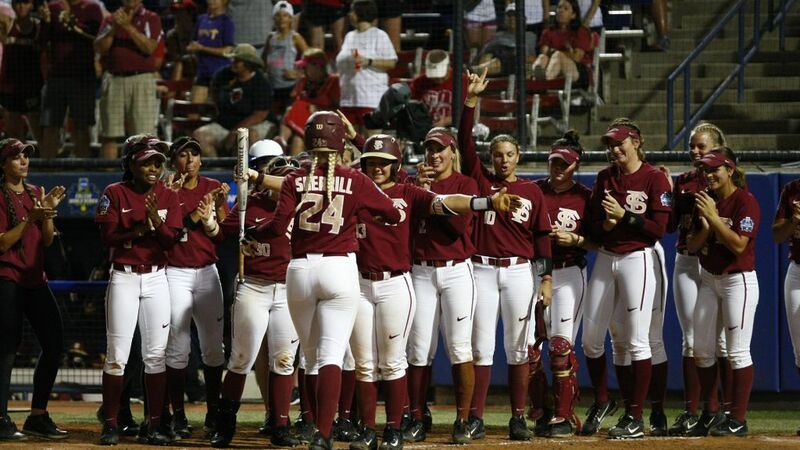 Florida State earned a 2-1 win against the Ducks on March 4, despite Megan Kleist pitching a no-hitter, scoring its pair of runs on a fielder’s choice and a sacrifice fly. Anna Shelnutt produced for the Seminoles on both sides of the ball as her diving catch in foul ground on a bunt attempt ended the Oregon half of the third inning. The sophomore turned around and led off the top of the fourth with a single up the middle. However, an Oregon double play and a pop out ended the inning. Oregon pushed a base runner to second base in the bottom of the fourth on a single by Shannon Rhodes and her 14th stolen base of the season. Hanson left her stranded with her fourth strikeout of the game. FSU added another run in the fifth inning on another RBI base hit by Mason. Harrod led off with a single to left and Morgan Klaevemann followed with a bunt single and Harrod dashed all the way to third on the play. Mason followed with a single through the left side to push the Seminole lead to 2-0. Jessie Warren lined out to shortstop and a throwing error allowed the runners to move up to second and third with one out, but a strikeout and a groundout left them both on base. Shelnutt began the Seminole sixth inning with a walk and was pinch-run for by Deja Bush. Dani Morgan put down a sacrifice bunt, but the ball was mishandled by the Oregon first baseman, allowing both runners to advance safely. Zoe Casas nearly hit a three-run home run to right, but it bounced off the top of the wall for an RBI single, pushing the Seminole lead to 3-0. Oregon brought in an unearned run in the bottom of the sixth inning to cut the FSU lead to 3-1. A one-out FSU error allowed Cruse to hit a two-out double to left center, just past the diving glove of Morgan in left to score the first run of the game for the Ducks. Hanson got out of the inning with a pop out to short. Sydney Sherrill launched a solo home run to right in the top of the seventh, her 11th HR of the season, to extend the FSU advantage to 4-1. Oregon opened the seventh with a walk by DJ Sanders and after a fly out to center and a walk to pinch-hitter Mary Iakopo, Meghan King entered the circle to pitch for the Seminoles, replacing Hanson. King retired both of the batters she faced on a fly out and a strikeout to earn her third save of the season and seal the 4-1 win. Hanson improved to 29-6 on the season with the win, tossing 6.1 innings and allowing one unearned run with two walks and four strikeouts. The Seminoles will need to beat UCLA twice to advance to the 2018 NCAA National Championship Series. If FSU wins the first game at 3:30 p.m., the Noles and Bruins will play again at 9:30 p.m. ET in a winner-take-all game. Sunday’s first game will be broadcast on ESPN, while game two would air nationally on ESPN2. Links for video, live stats and FSU Softball Radio will be available on the softball schedule page of Seminoles.com.